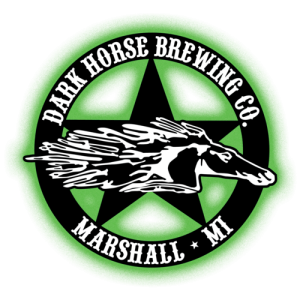 Beer Business Radio | 028: Aaron Morse – Dark Horse Brewing Co.
You are here: Home / Podcast / Uncategorized / 028: Aaron Morse – Dark Horse Brewing Co.
Aaron Morse is the CEO and Owner of Dark Horse Brewing Company in Marshall, MI. Aaron started Dark Horse in early 2000 and lets just say that traditional, cookie-cutter and conformist are not words that you would use to describe Aaron or his brewery. The first 5 to 7 years in the life of a brewery are tough and cash is huge. The roller coaster of cash flow is one of those things that keeps you up at night with your stomach in knots wondering where you are going to come up with the cash to pay this bill and that bill. and coming soon, cabins so you can hang out for days!! Website – Dark Horse Brewing Co.
Facebook – Dark Horse Brewing Co.
Twitter – Dark Horse Brewing Co.
Instagram – Alaskan Brewing Co.